If you live in the United States and eat processed foods, chances are great that you consume genetically modified foods on a regular basis. As these foods become increasingly inescapable, a growing contingent of people throughout the world have begun calling for the banning or labeling of them. The fervor is pushed by a growing suspicion surrounding the safety of genetically modified foods and the perceived lack of scientific inquiry regarding the impact these organisms can have on agriculture. 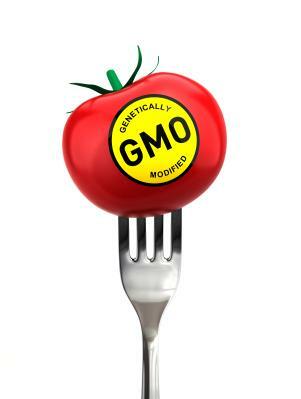 For the purposes of these labeling initiatives, a "genetically modified food" is classified as a food that is created through the use of direct genetic manipulation. The result of this manipulation is a fundamentally new species of organism that could not naturally exist or be developed through the use of selective breeding. After all, genetic manipulation of food has been going on ever since the famous tests of Gregor Mendel on pea plants. 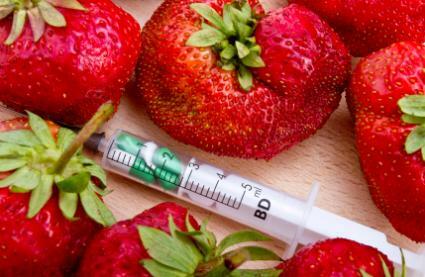 The difference between these two different practices is that genetically modified foods that people seek to label are those which have been developed through the use of gene splicing techniques that could not occur outside of a lab. What Is Modified Food Starch? Some of the resulting products produce their own toxins that are meant to eradicate common pests that attack the crop. Others are developed to be genetically resistant to the pesticides used on the fields in which they are planted. These factors lead people to want to know whether they are eating food derived from these products due to a number of potential health and ethical concerns. Proponents of these technologies indicate that their products generate higher yields and are more cost effective for farmers. There is limited research that has not been funded by biotechnology companies which indicates that this is factual. On the other hand, studies by MIT and the Union of Concerned Scientists have all found that the argument of higher yields is more of a myth. In the end, the people looking for genetically modified food labeling simply want to know what types of foods they are buying in the store. However, it's not that simple. At the national level, there is only one law on the books that requires the labeling of genetically modified foods. It applies to genetically modified salmon and is only a preemptive labeling law to be used in the event that this salmon is approved for use in the United States. There are currently no laws on the books at the federal level which require any other genetically modified foods to be labeled. At the state level, two states have passed laws that require genetically modified foods to be labeled. These states are Connecticut and Maine, though there are a number of labeling initiatives currently building in many states throughout the United States. There is some concern amongst labeling activists that federal laws regarding labeling could surpass state laws that are passed; however this has not become an issue yet. There is a lot of back and forth sniping that goes on between both sides of this issue. Anti-labeling proponents believe that pro-labeling activists are simply not educated enough on the science of genetically modified products. On the other hand, pro-labeling activists often assert that anti-labeling proponents are just dumbfounded by a sales pitch by chemical companies. In truth, the basic issue surrounding these labeling initiatives is not a scientific one. It's a legal one. In the United States, corporate entities are legally regarded as persons. In the beginning, this definition only applied to their personhood as it related to their protections under the 14th Amendment to the US Constitution. However, with the Supreme Court decision in Citizens United v. FEC, corporations were awarded broader protections under the United States Constitution that included free speech rights. Due to this decision, corporations are now afforded the same speech protections as natural human citizens of the United States. Under the provisions of the First Amendment to the US Constitution, citizens of the United States are allowed to either speak or not speak and their right to do either shall not be dictated by the will of the state. This is important to consider when it comes to labeling issues since corporations, as federally-recognized "persons" afforded First Amendment rights, cannot be compelled to speak one way or the other about their products in most cases. Some have argued that corporations are required to label many different ingredients already, and that labeling genetically modified foods should not be such a big deal. However, these labeling requirements came about with the passage of the Federal Food, Drug, and Cosmetic Act (FD&C Act) and the Fair Packaging and Labeling Act. This act included nothing regarding genetically modified organisms (GMOs), and they are not mandated under these laws. The laws in place are currently a large part of why the United States is one of the few industrialized nations which have not yet forced genetically modified foods to be labeled. There are a number of organizations that are actively working toward labeling genetically modified foods. "Right to Know" groups have sprung up around the country to support genetically modified food labeling initiatives. A famous initiative known as "Prop 37" in California gained national attention and was one of Right to Know GMO's earliest successes. Coordinator Stacey Malkan was quoted in a press release sent to LoveToKnow saying, "We have a right to know what's in the food we eat and feed our children. The voters of California will surely vindicate our rights this November," during the campaign. Though it failed to pass, Prop 37 raised a significant level of awareness regarding genetically modified labeling issues. The organization was also instrumental in helping to pass the current state-level laws on labeling of genetically modified foods. The Non-GMO Project is a voluntary certification process that companies can elect to go through if they wish to prove they are not utilizing genetically modified ingredients. The process is extensive and that has led Non-GMO Project labels to be a worthwhile commodity for food producers. The project is also heavily involved in the promotion of food labeling initiatives, and is commonly involved with trying to pass labeling measures. The Organic Consumers Association is arguably one of the most involved of the many groups working toward mandatory labeling for genetically modified foods. The association is a significant financial backer of labeling initiatives and works toward labeling or banning all genetically modified products. In the end, there is a wide range of ethical, scientific, legal and political reasoning behind why these foods are not labeled. Currently 61 countries require genetically modified foods to be labeled. Many countries, including Japan and Austria, have placed outright bans on the cultivation or sale of any genetically modified foods. Since the issues are complex, it's safe to say that genetically modified food labeling issues will be a consistent source of debate into the foreseeable future.